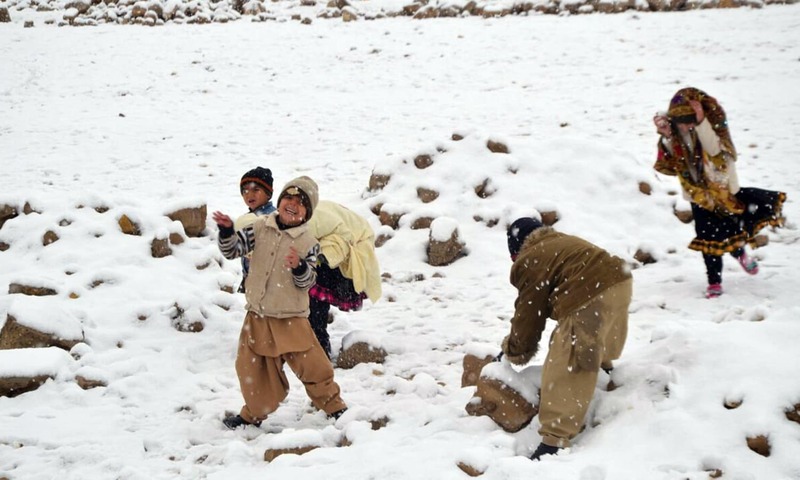 Quetta residents on Saturday celebrated the city's first snowfall for the winter. The city had received snowfall late Friday night, which continued through Saturday morning and afternoon, turning the weather in the city even chillier. 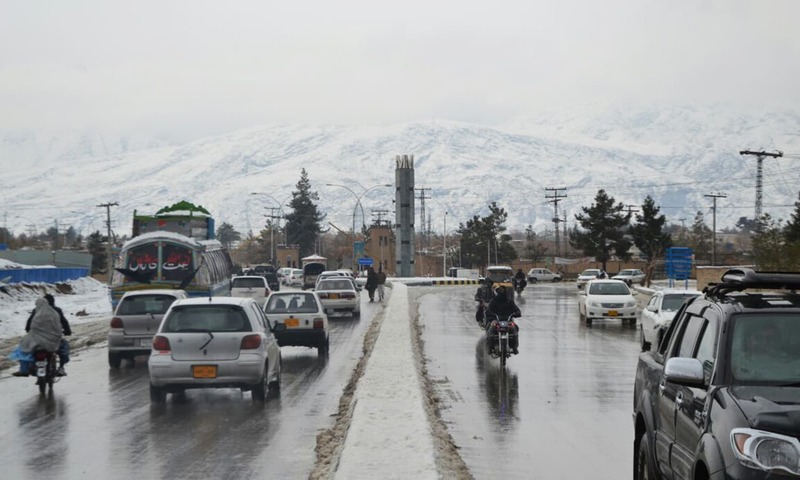 With mountains surrounding the city blanketed in snow, jubilant residents headed to various picnic spots in and around the city. A large number of citizens thronged Hanna Lake to enjoy the pleasant weather. 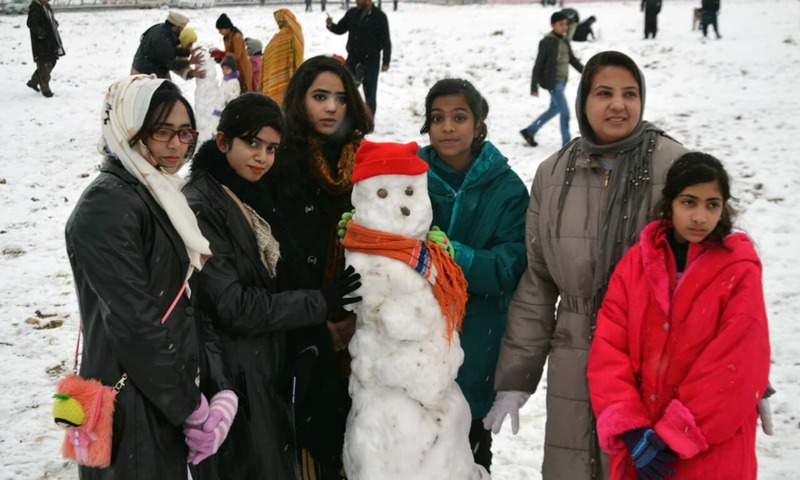 "We really enjoy snowfall here", Muhammad Akram, a local, told DawnNews. 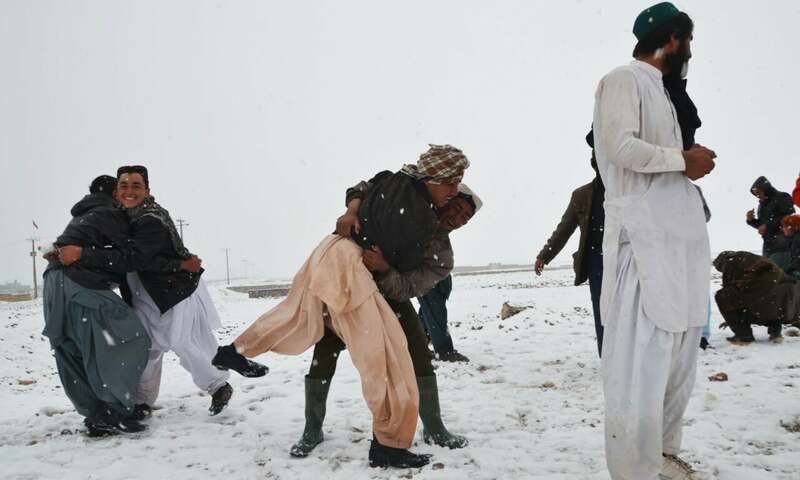 Faiz Kakar, chief of the International Union for Conservation of Nature, Balochistan, said he thinks the snowfall is a good omen and will reduce the impact of drought in Quetta and other parts of Balochistan. Long Love Balochistan, Long Live Pakistan. 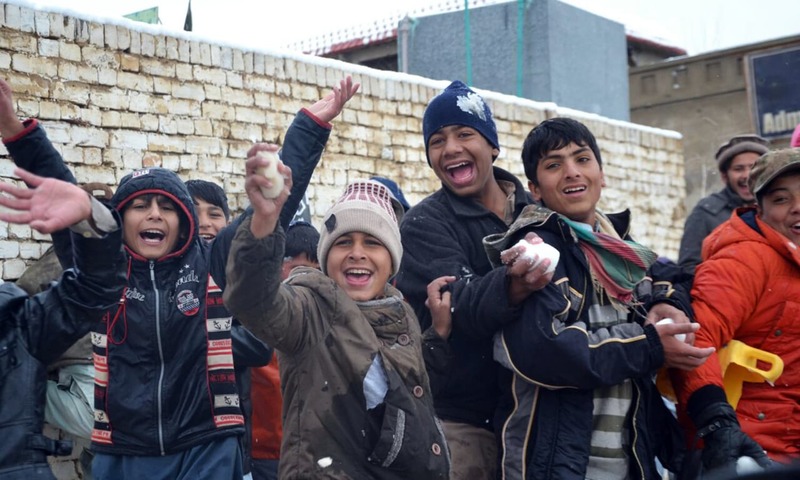 How do poor protect themselves from cold without much warm clothes and heaters at home? WE want to see good roads,good buildings,snow lights to see it more beautiful in snow. If this area get developed can become one of the beautiful part of the world. Pashtuns own a beautiful land.pakistani pashtuns are link between two great nation Afghanistan and Pakistan.i wish both countries work mutually for development.being a Pakistani pashtun I love both countries. 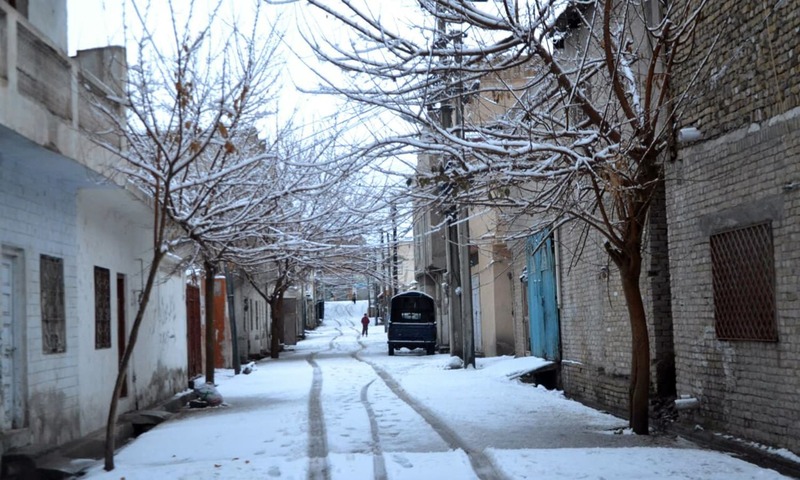 I was in Quetta in 1954 when I saw my first snow fall. I was rather surprised to see how the main road had been cleared of snow now. Beautiful pictures of snow and people enjoying and some people without proper winter attire was also great. Living in Toronto amid high rise buildings such scenes are very rare. 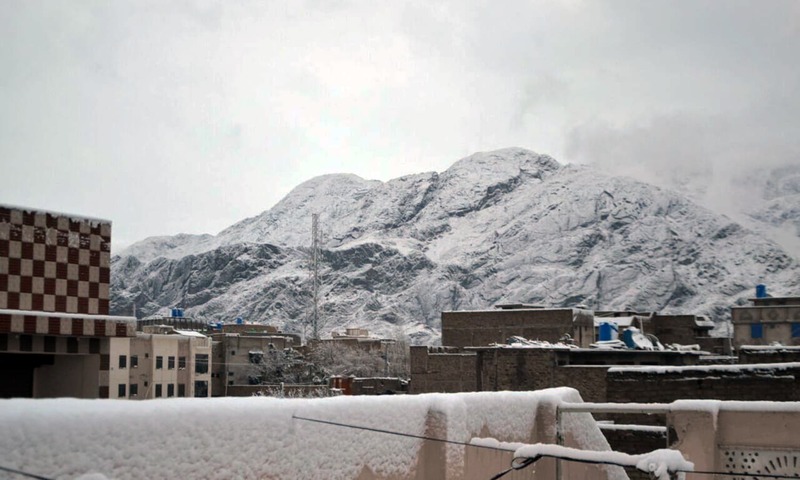 It is a good omen that Quetta received its first snowfall.